This talk uncovers how a diagnosis common today emerged from the atrocities of the Third Reich – and questions how societies access, label, and treat those diagnosed with disabilities. 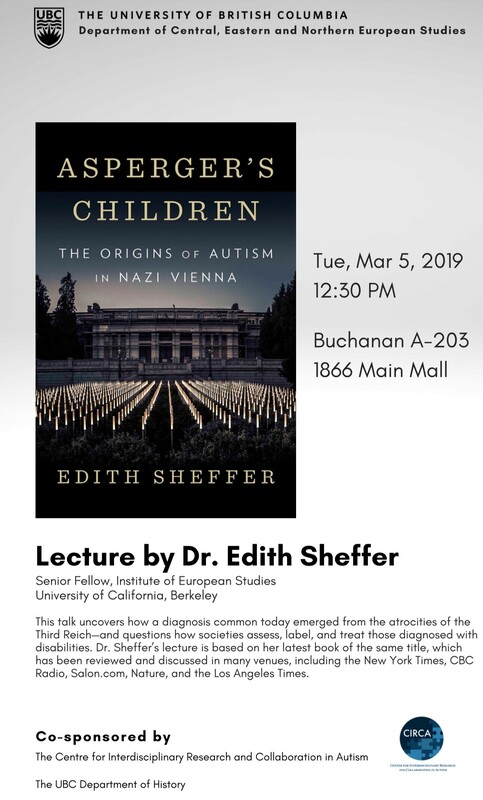 Dr. Sheffer’s lecture is based on her latest book for the same title, which has been reviewed and discussed in many venues, including the New York Times, CBC Radio, Salon.com, Nature and the Los Angeles Times. This entry was posted on March 5, 2019 by Events Manager.